ATLANTA, Jan. 27, 2014 -- Mixels is a groundbreaking global franchise created by the powerhouse partnership of two of the biggest forces in kids' entertainment – Cartoon Network and The LEGO Group – and will make its US debut on multiple screens and platforms this February. A true multiplatform brand, Mixels.com arrives on the web first on February 6, followed by animated shorts on Cartoon Network starting February 12 during the Teen Titans Go! half hour (7:30-8:00pET). Soon after, kids will be able to "mix, max and murp" with their own LEGO® Mixels collectible building sets and download the Calling All Mixels app. ATLANTA, July 22, 2013 -- Cartoon Network and The LEGO Group announced today that they will jointly produce an unprecedented new global entertainment franchise. Launching in 2014, Mixels is the next franchise in integrated family entertainment from two of the world's leading experts in youth engagement. The new venture will feature animated content (primarily shorts), a rich digital gaming experience, a collectible building toy concept and more. 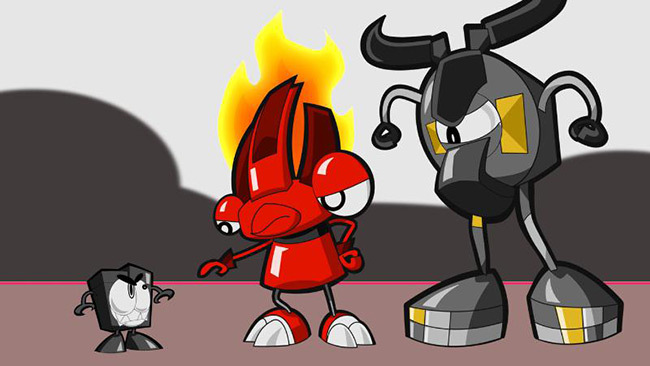 Animated content will air on Cartoon Network and on www.cartoonnetwork.com, featuring the colorful Mixels creatures that can mix and combine with one another in creative and unpredictable storylines. A collectible portfolio of low-priced mini building sets will launch in three waves in 2014 and an app-powered gaming experience will engage fans in a deep mobile game that will cover the sprawling world of Mixels. WINTER HAVEN, Fla. -- July 02, 2013 -- LEGOLAND® Florida today celebrated the opening of The LEGO® World of Chima presented by Cartoon Network. The World of Chima is a highly-themed area with thrilling and interactive rides and attractions for visitors of all ages, adding to the park's already exciting line up of more than 50 rides, shows and attractions. Opening to guests on July 3, the centerpiece attraction, The Quest for CHI, features an interactive water ride where guests will set off on an otherworldly and super-wet adventure. After boarding watercraft, families can use water cannons to activate the story in each of the scenes along their journey as well as have a chance to battle other boats and guests along the shore line. Those interested in even more splash and water fun can experience Cragger's Swamp play area that features playful bubbles, intermittent water spouts and interactive elements that trigger swamp water effects. All Systems Go: Warner Bros. Consumer Products Names Jazwares Master Toy Partner for Teen Titans Go! Sunrise, Fl, and Burbank, CA – June 17, 2013 – Warner Bros. Consumer Products and Jazwares™ team up to announce their master toy and electronics partnership for Teen Titans Go!, Warner Bros. Animation's new action-packed comedy adventure series based on the DC Comics Super Heroes, which airs Tuesdays 7:30 p.m. (ET/PT) and Saturdays 10:30 a.m. (ET/PT) on Cartoon Network as part of the network's DC Nation programming block. Jazwares' Teen Titans Go! master toy line will deepen the company's presence in the rapidly growing action-comedy retail space. Teen Titans Go! action figures, plush and role-play toys will be available for holiday 2013 sales at Toys R' Us. 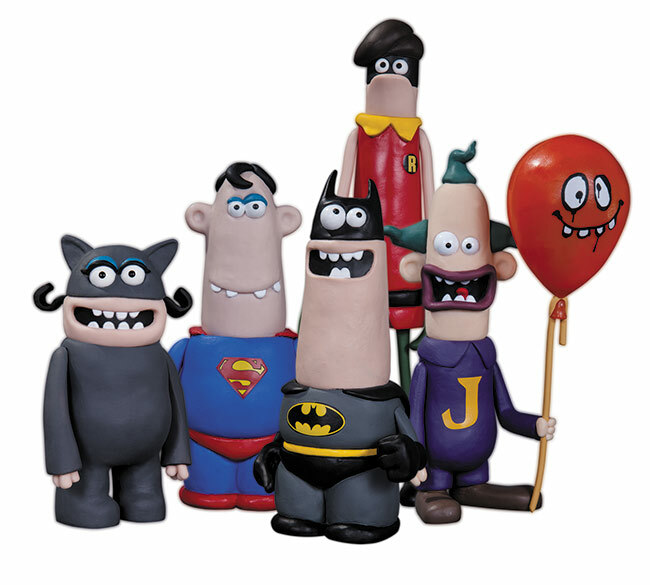 No Bat-Fan's collection will be complete without these amazing action figures based on the hilarious animated shorts created by the Academy Award-winning team behind Wallace and Gromit featured on the DC NATION block seen on Cartoon Network. January 28, 2013 - Armed with record-setting ratings success as the only top kids' network to achieve across-the-board growth in 2012 and its most-watched year in Prime in its 20-year history, Cartoon Network is jumping ahead of the customary Kids Upfront season and taking its show on the road with the CARTOON NETWORK ROAD TOUR. With more than a dozen new productions and multiple returning hit series now slated for the 2013 and early 2014 season, Cartoon Network brought its road-show presentation directly to key clients and promotional partners at their respective home bases the week of January 21 and will continue into March. December 31, 2012 - Star Wars: The Clone Wars celebrates 100 episodes with a new installment that uncovers an elite Republic clone commando who has gone "Missing in Action," airing Saturday, January 5th at 9:30am ET/PT on Cartoon Network. Given the series' title and its backdrop of galactic warfare, Star Wars: The Clone Wars often focuses on the valiant and tireless clone troopers tasked to defend the Republic from darkness. The vivid personalities of these soldiers often challenge many assumptions about the nature of clones, and has created a roster of individual heroes. 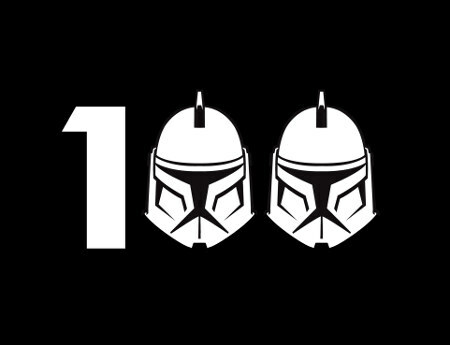 This tradition continues in the 100th broadcast episode, "Missing in Action," with the intriguing addition of Gregor, a Republic clone commando suffering from amnesia who has seemingly forgotten his true nature. September 18, 2012 - This October, the world's first 24-hour, all-animation cable network will celebrate its first 20 years by hosting CARTOON NETWORK'S BIRTHDAY PARTY, an on-air and online birthday tribute created especially for kids and kids-at-heart who've grown up with the wildly fun and outrageous network since its launch in 1992. Launching on Oct. 1, 1992 within just two million U.S. homes, Cartoon Network has since grown to become the #1 television network among boys 6-11, and is currently seen in over 175 countries and in more than 360 million households worldwide. March 28, 2012 - Celebrating its 20th Anniversary, along with double-digit growth and its #1 status with boys 6-11 on all of television, Cartoon Network announced today several new and returning series to its programming line-up. Having its best first quarter with kids in prime in five years (up 28% vs. 2011) and showing the most gains compared to the competition in the kids space, the network's afternoon Upfront presentation held at New York's Roseland Ballroom paid tribute to the past and present with a full orchestra playing classic Cartoon Network television theme songs and live performances from the creative talent behind the hit animated comedy series Adventure Time and Regular Show.